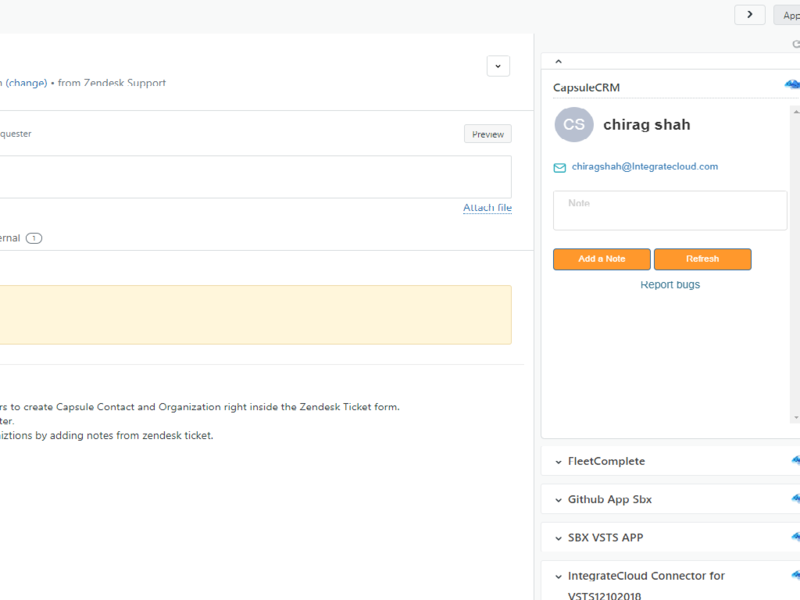 CapsuleCRM Integration App by IntegrateCloud allows the users to create Capsule Contact and Organization right inside the Zendesk Ticket form. It also shows existing contacts which are matching with requester. 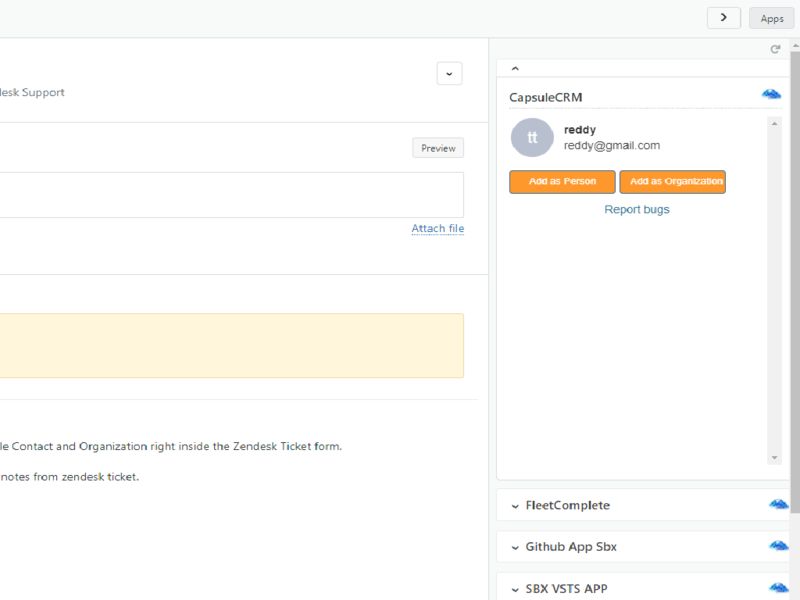 In addition, it allows Agents to add notes to customer or organiztions by adding notes from zendesk ticket. 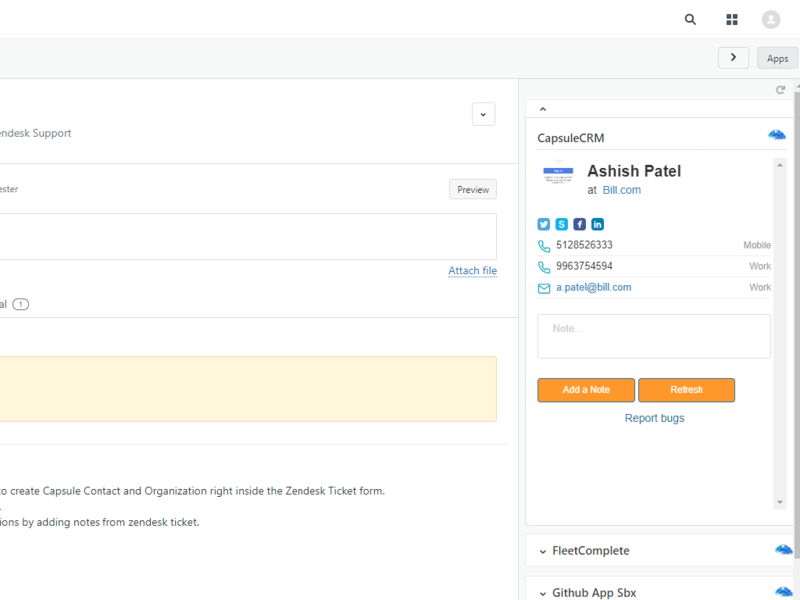 To get started, click on the Install button in the Zendesk Apps Directory. You may be asked to log in with your Zendesk email address and password. In your Capsule account, open My 'Preferences'. Click 'API Authentication Tokens' in the sidebar. Select the 'Personal Access Tokens tab'. Click 'Generate new API token' to add a new token. Ensure that 'Create, update and delete information' is ticked and then click 'Save new Token'. After generating the token, click the clipboard icon next to the new token to copy it and then paste it into the 'Personal Access Token' field.